C.R.G. Company was born in 1978 as gear's manufacturer. The demands of the market brought C.R.G. Company to become specialist in the particular field of the RACKS, offering a more and more large choose of racks for generical use, characterized by an excellent quality. In the course of a few years the C.R.G. has become leader of the sector, buying last generation rack's machines, changing from slotter machines to milling cutters. C.R.G. 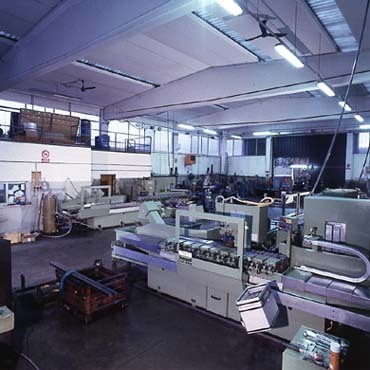 has been the first factory in Italy to obtein lenghts untill 3.200 mm without renewal! 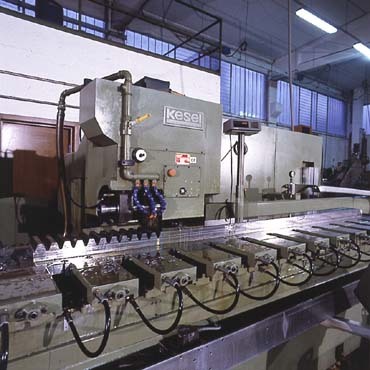 The use of numerical control gear cuttings, of special creators for highest speed of cutting and the comfort of enveloped work's technology, allow us to obtein a general precision which reflects Quality 8 Class, following the Din 3962 rule, and a surfacing finish grade not simply realizable with toothing operations by a slotter machine.